These are the local flag trees. They are disfigured from all the strong wind that comes off of the water onto the land. 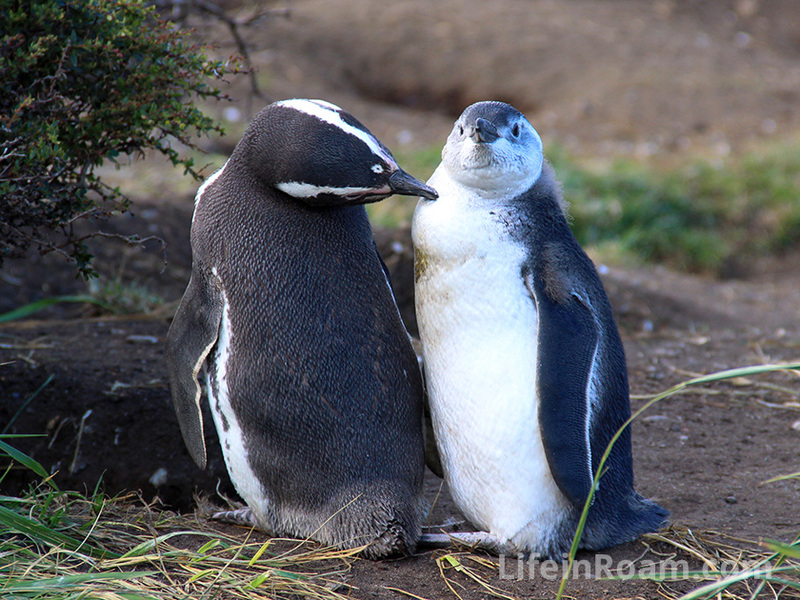 Full disclosure, there are a lot of pictures of penguins in this post. 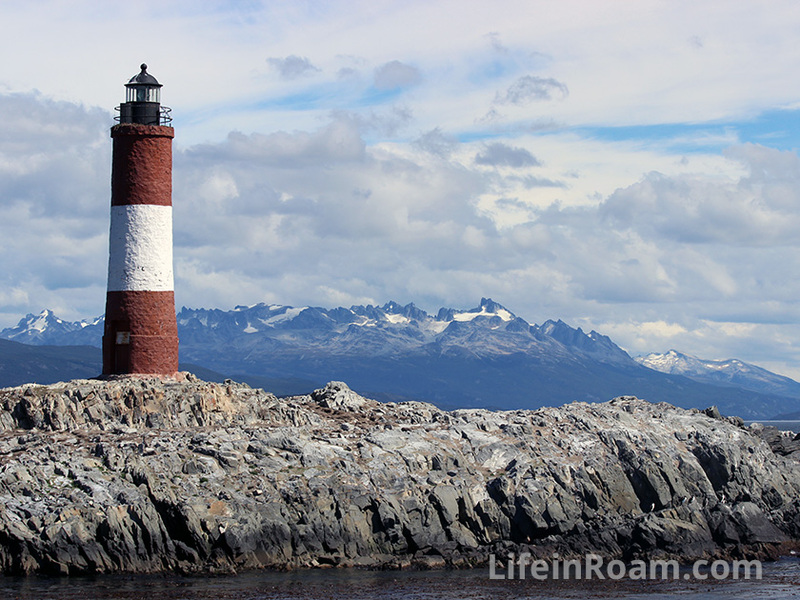 The last of our adventures in Ushuaia was a full day tour to visit Estancia Haberton and the penguin habitat in Isla Martillo nearby. The tour was rather expensive, but at the insistence of Jeff’s uncle and aunt, we decided it would be worth the money. Mostly because this was one of the only tours that we could see Estancia Haberton as well, which they insisted was important to the local history. 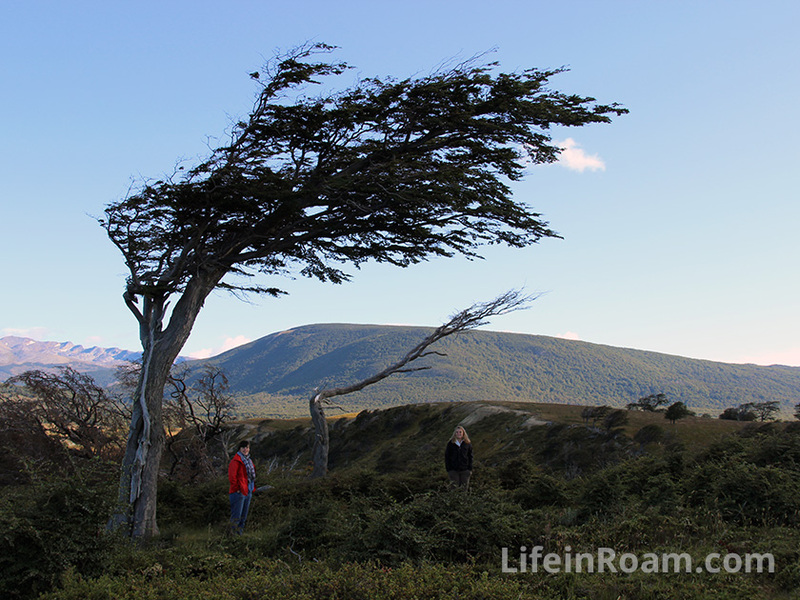 Estancia Haberton is an estate near to Ushuaia. The family that owns the property has committed a lot to the local culture. The family has produced a Yamana (local indigenous) dictionary, and a novel about life at the end of the world. 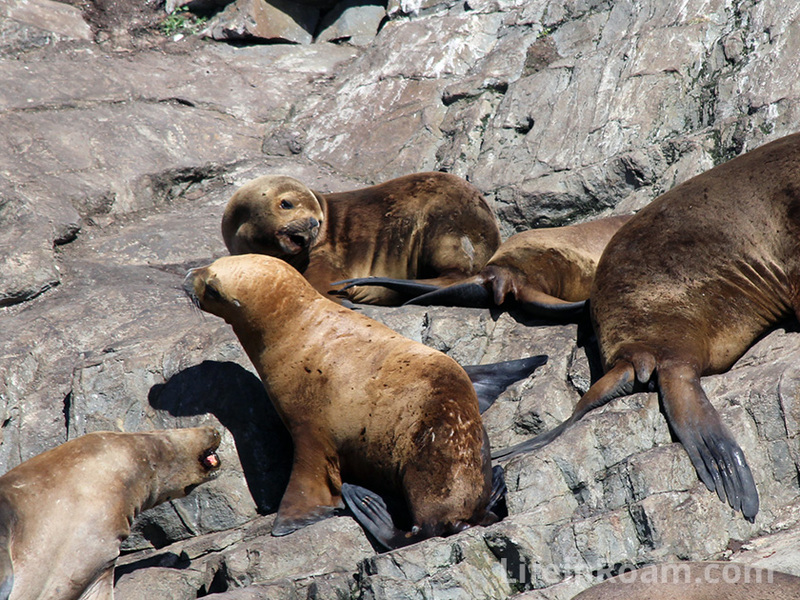 On the property is also a marine mammal museum that collects and preserves skeletons of marine animals from the area. We were actually very rushed through this component of the tour, so despite it being the main reason we signed up, we didn’t learn too much. 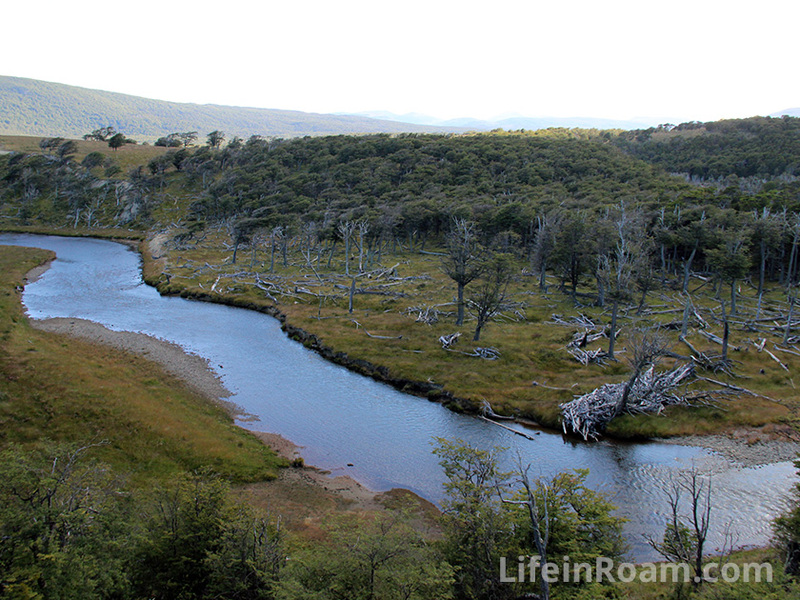 The family used to profit from farming and also tourism, but due to a sudden freeze in 1995, much of their cattle was killed so now the income source is tourism. But who cares about people! 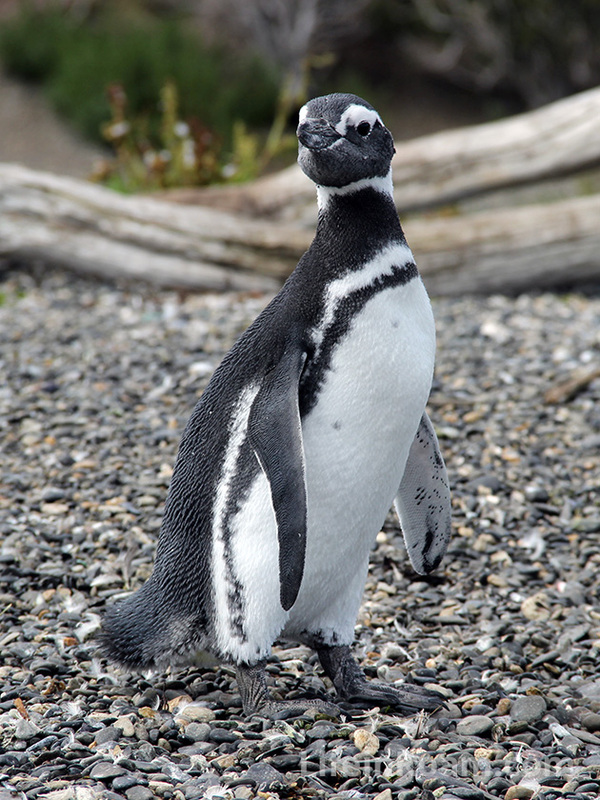 Let’s talk about penguins! 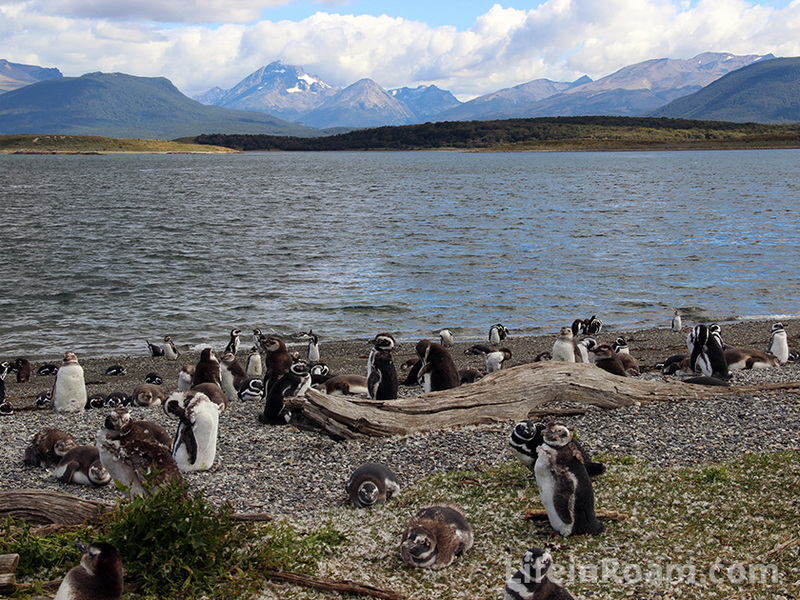 We visited the Magellanic penguins on Isla Martillo. 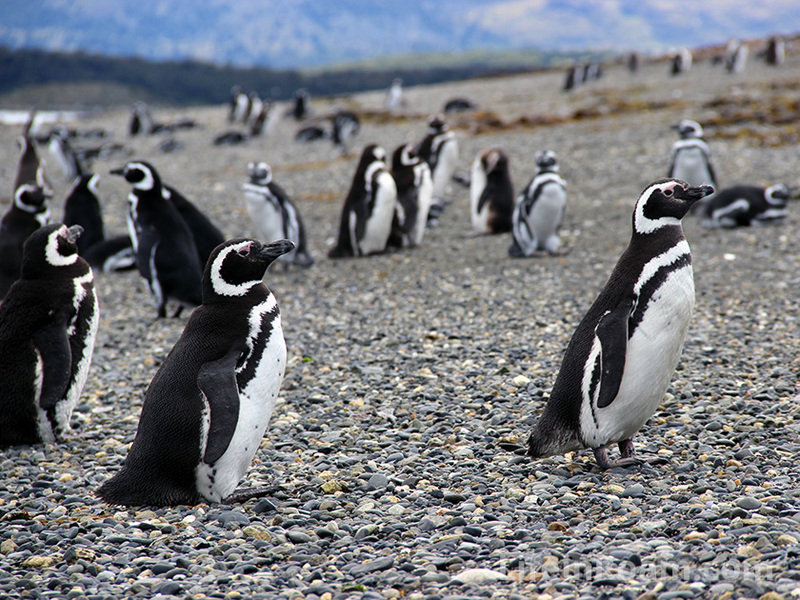 These penguins were named after Ferdinand Magellan who was the first European to find them in 1520. They are about knee-high and they dig holes to breed and chill in. They are also monogamous each breeding season. The male finds his nest from the previous season, boots out any squatters, and then waits for his lady. The lady finds him again based on his call. What they are doing between breeding seasons I don’t know. I’m going to say they are monogam-ish. To be safe. 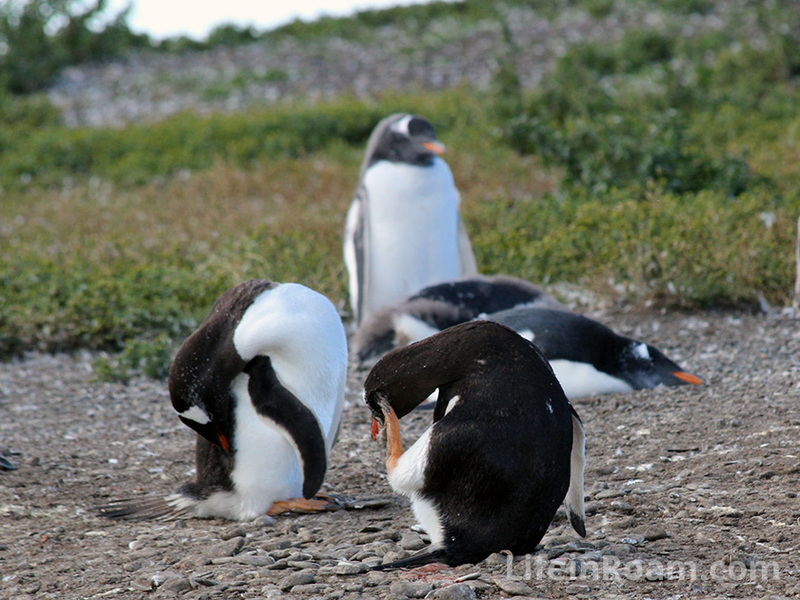 Did you know that the formal bow tie suits of penguins is actually camouflage? When they are swimming and there is a bad guy above them, their black backs blend into the darkness of the oceanic abyss. When they are swimming above predators, they blend into the light on the ocean top. A group of penguins in the water is called a Raft. 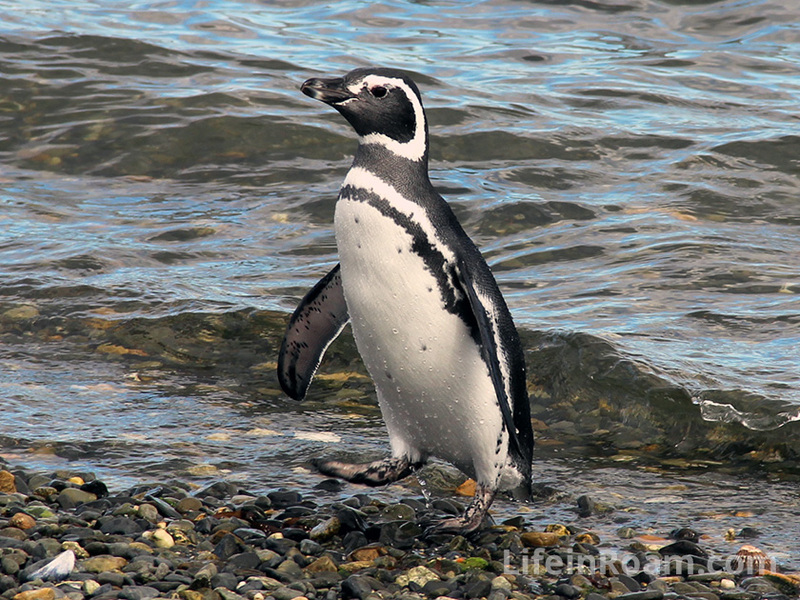 A group penguins on land is called a Waddle. 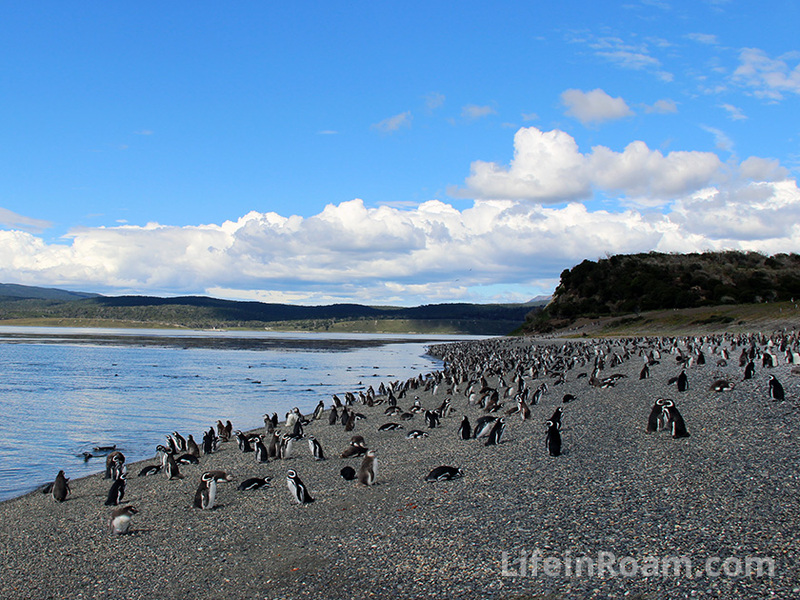 We saw a huge waddle of penguins. 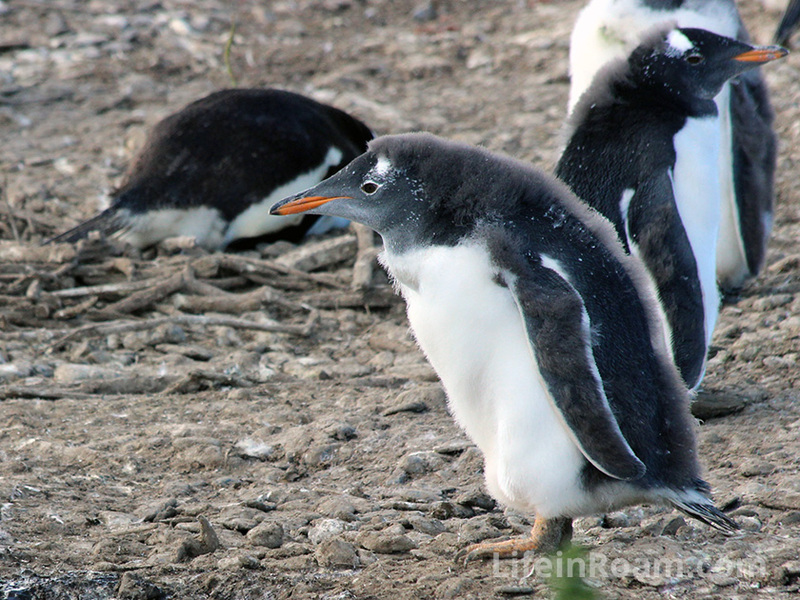 Most of the penguins we saw were either just finishing molting or finishing up raising their chicks. 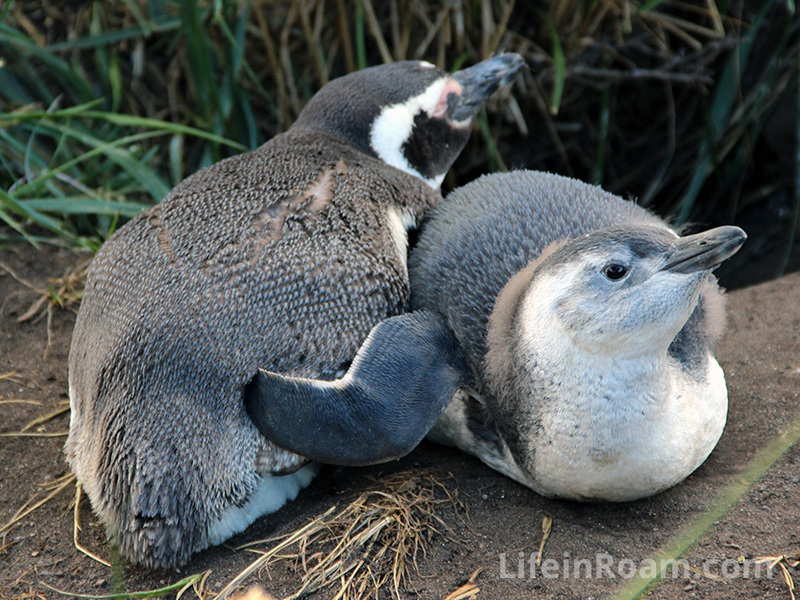 When penguins molt, they can’t swim, which means they can’t hunt, which means they are hangry. All the ones we saw were perfect gentlemen and ladies though. The extra fuzzy ones are molting. 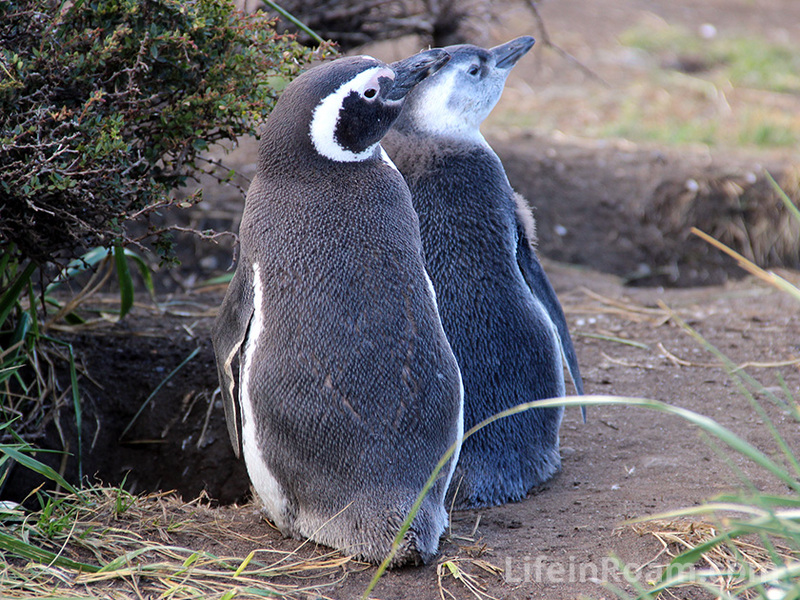 The Magellanic penguins build colonies for their nesting and breeding. 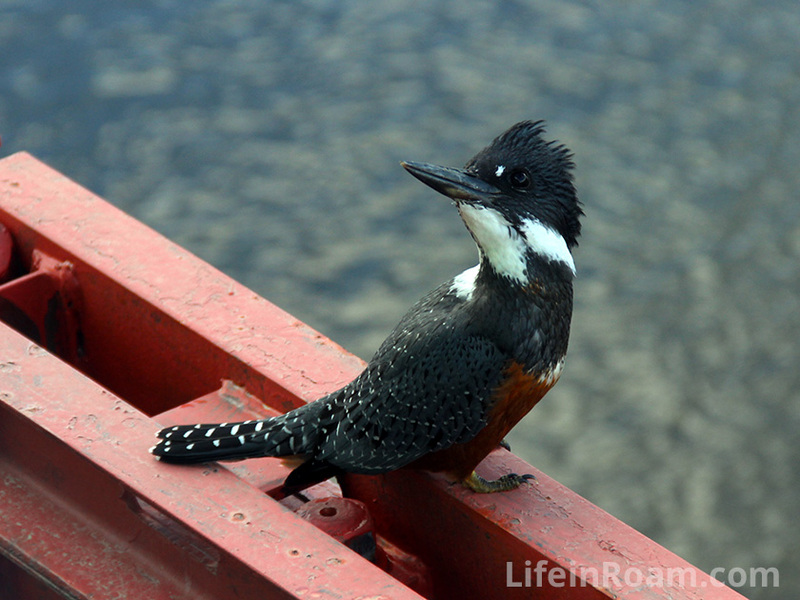 They can fit about 20 nests in a 100m². 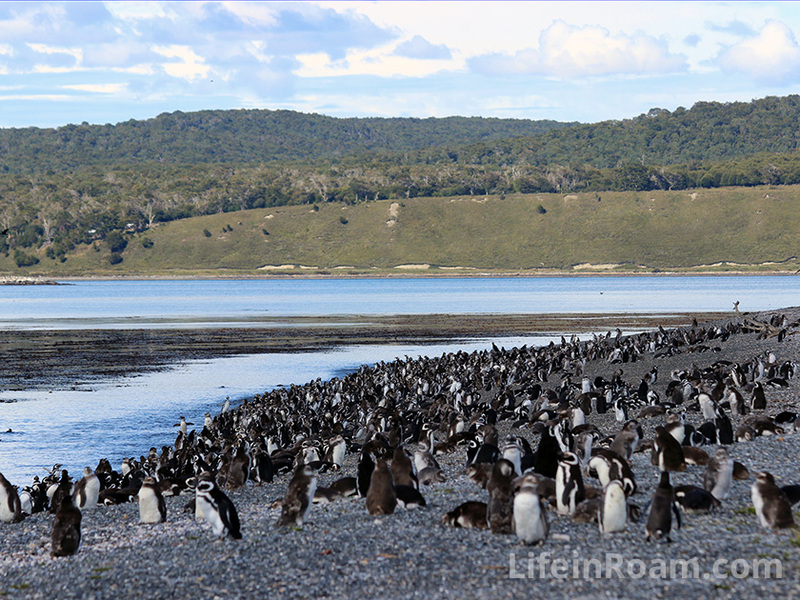 Many of the penguins made their nest right next to the foot path we were allowed on. 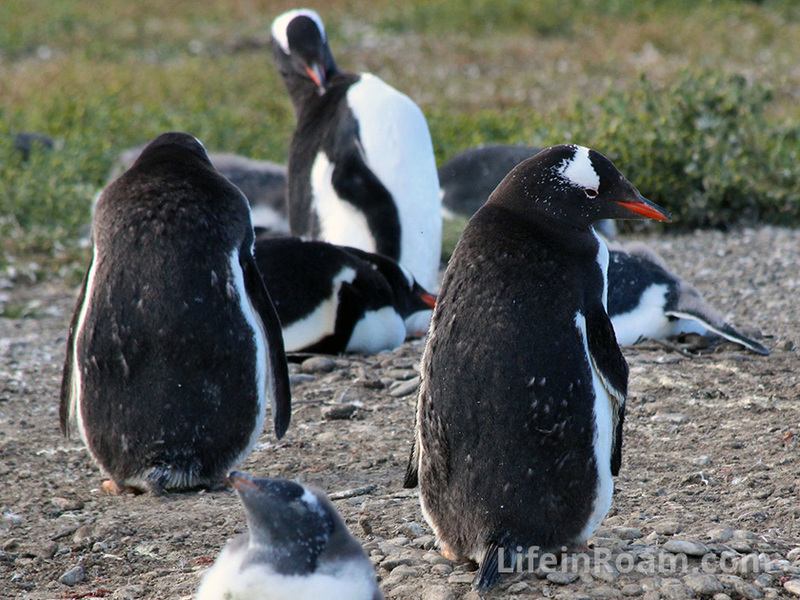 We got a very intimate look at so many penguins! Like this mom and chick. Also on the island are Skuas. Skua’s are related to gulls but they are pretty tough. Some species can take down Great Herons and then nom nom them. 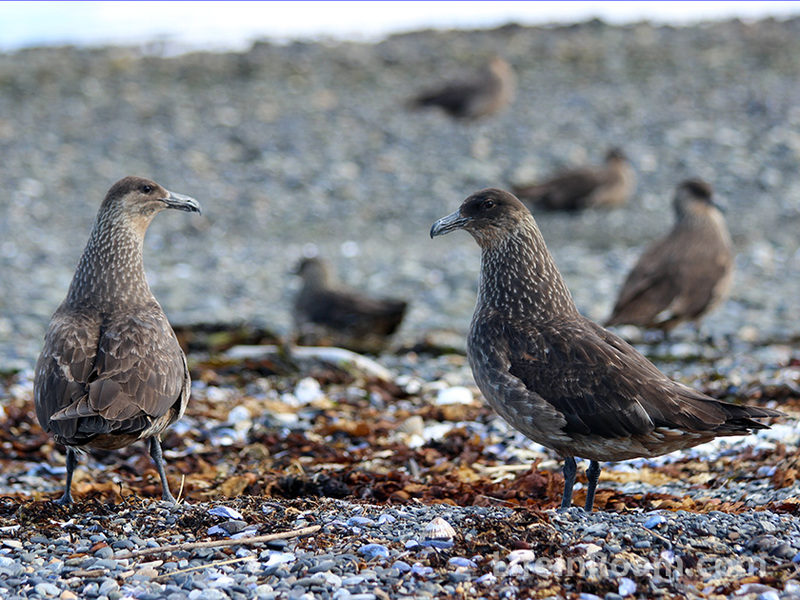 These skuas would take on baby penguins and nom them if the parents weren’t being attentive enough. 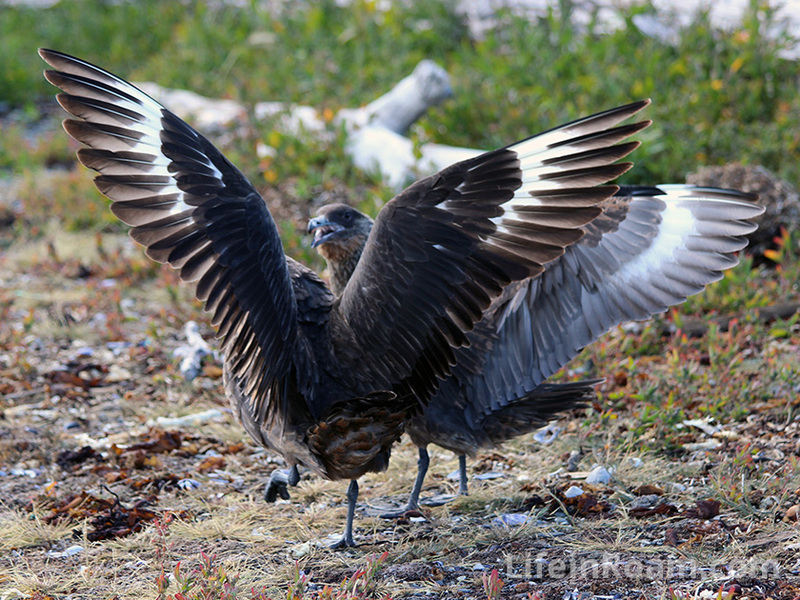 When we visited the babies were big enough that they were no longer manageable for Skua. There were very few skuas though compared to the absurd number of waddle-y waddlers. So don’t worry. 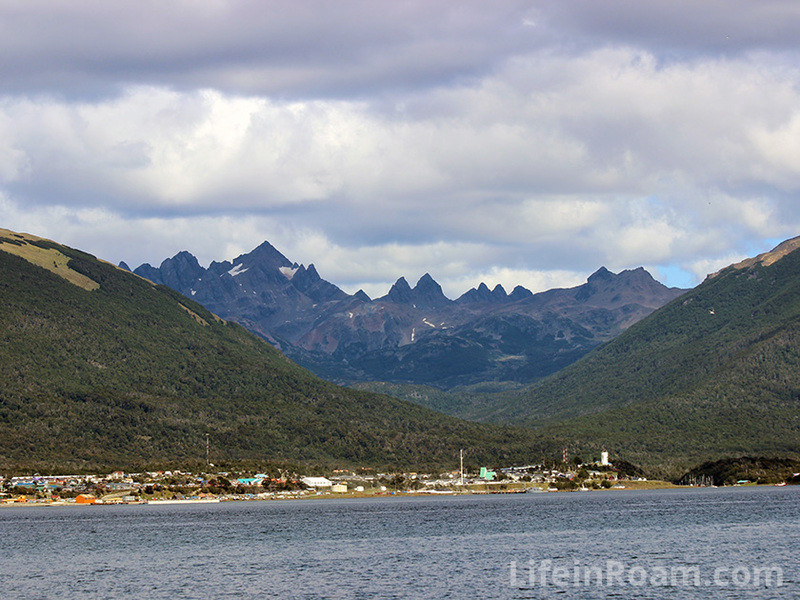 After the penguin island we rode in a boat around the Beagle Channel, surrounded by the Tierra del Fuego mountains of Chile and Argentina. 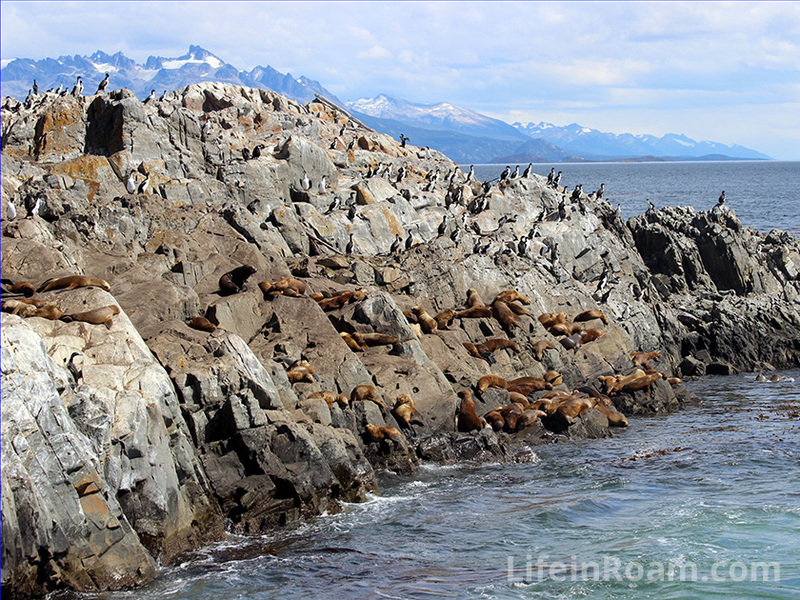 Naturally, with rafts and waddles of penguins there are rafts and colonies of sea lions. 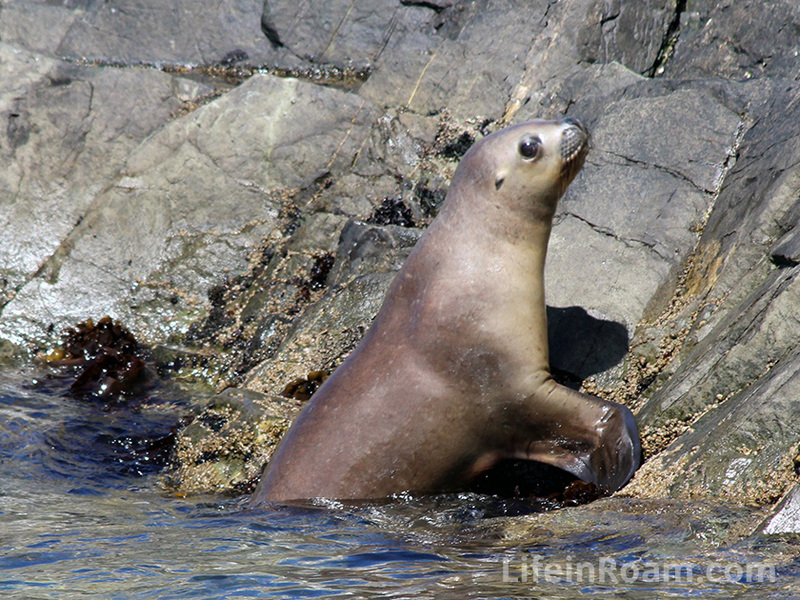 Did you know that the difference between sea lions and seals are that sea lions have knee joints and seal do not? Well now you do. You’re welcome. Just look at those knee joints! 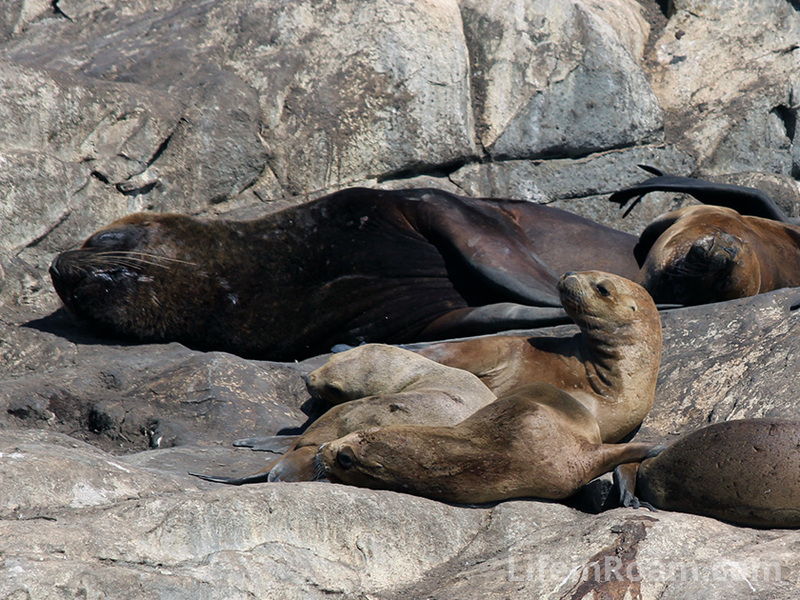 Oh and they also have visible ear flaps, which seals do not. 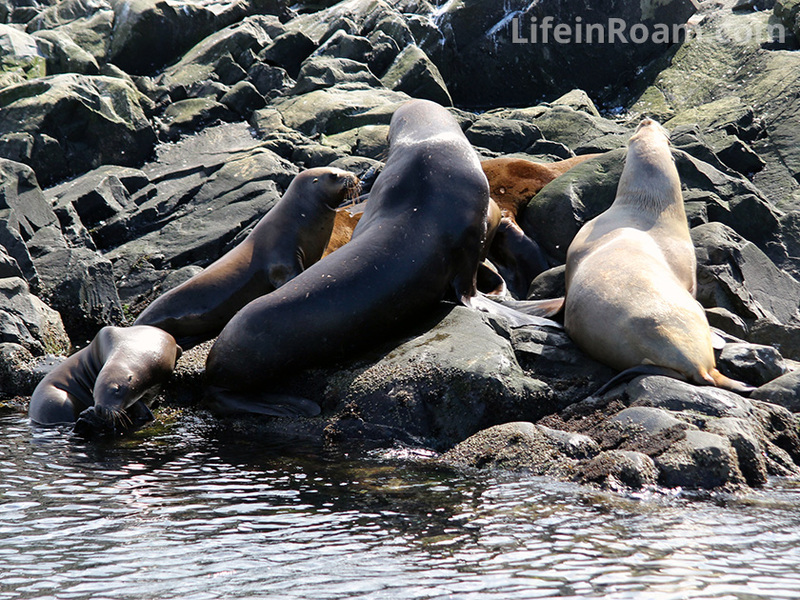 Marine mammals are so cool!